We have published a lot of articles till now covering best semi and fully automatic washing machines under 10000, 15000, 20000, 25000 and 30000. This article is a compilation of the best washing machines from those articles. In this article, we have covered the best washing machines in India from Rs. 7000 to 30000. So doesn't matter what is your budget, you will find an option for you. We have covered all types of washing machines: Semi-Automatic and Fully Automatic. In fully automatic we have listed both front load and top loading washing machines from top brands like LG, Samsung, IFB, Bosch, Whirlpool, Godrej. The washing machines listed here were launched in April 2019 or before that. Most of the washing machines on this list come with a 2-year comprehensive warranty and some of them have a 4-year warranty as well. Warranty and after sales service are important in washing machines as they have a lot of moving parts and they do break down after use. Brands like LG and Samsung have one of the best after sales service network in India. Other brands like IFB, Bosch don't have a strong network in tier 2 and tier 3 cities. So if you like in metro city then go for any brand of your choice and if you live in tier 2 or tier 3 city then go for LG or Samsung. Let's take a look at brief review, pros cons and specifications of best washing machines in India. We have provided price and buy links as well. Prices keep changing so please check latest price by clicking on links provided. This is the 6Kg Fully automatic front load washing machine from Midea with a strong build quality made of stainless steel. This machine is suitable for a family with 2-3 members and the motor is powerful with a 1000 rpm. The machine comes with 23 wash programs (Cotton, Synthetic, Rinse, Drum Clean etc) and temperature adjustments based on the kind of cloth you are washing. The high temperature helps clean the cloth with deep dirt quickly, also you can select the prewash option to wash the clothes extra than the regular number of cleaning cycle. This 7Kg fully automatic washing machine is designed and manufactured in a way that it consumes less electricity and less water. 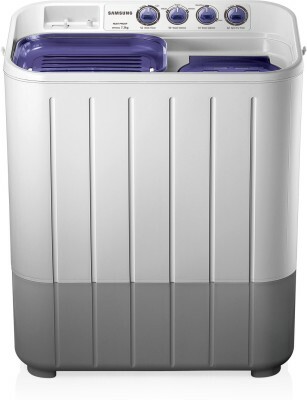 Overall, at under 15k, it is the most economical front load washing machine and comes with 2 years of warranty. This machine does not have a digital display for timer but that should not be a big deal for anyone who is not a brand-savvy when a similar product is available at 20-30% less cost. Along with the pricing the machine really works well and cleanse the cloth super well. As per our review, you will not face any issue and it has easy to use design. LG offers the best quality in electronic appliances. This washing is a front-loaded fully automatic washing machine. It has a capacity of 6 Kg and comes with a lot of features, wash programs and temperature settings and a very well appreciated rating of 4.4 on 5 from the users. It is suitable for a family with 3-4 members and offers very good cleaning without any tangling of clothes. It has 13 wash programs like Cotton, wool, baby care, delicate, sportswear etc. You may not need all the options but with these choices enables you to wash the different type of clothes in a different manner. There is a digital display that shows you the timer and has the option to change the temperature setting between 20/30/40/60 and 90 degrees. Just below the display, you get an option to control the speed on the motor. It has a very powerful motor rated at 1700 W and comes with inverter technology where the machine adjusts the electricity requirement as per the load of clothes. This machine has a smart diagnosis system that lets you find the issue with the machine so that the service team comes prepared with the solution and hence reducing the time to solve the issue. It has a warranty of 2 years of the complete unit and 10 years on the motor. Overall, though this machine is little costlier but is one of our top pick for front load fully automatic washing machine under 25000. You can look at Bosch and IFB machine if your budget is around 20k to 22k. This washing machine from Whirlpool offers excellent value for money. The 8kg capacity with a powerful motor is a great deal at this price. The 8 Kg capacity is suitable for a family of 4-5 members. The machine is well built with good quality materials. The machine has a handle and wheels and you can move it around easily. The motor power is 340 W and RPM of 1450. High RPM is always good for great washes. The machine comes with turbodry technology. Heavy laundry like blankets, bed line, and jeans can take time to dry in the sun after washes. The Turbodry technology solves that problem by taking advantage of a powerful motor and specially designed vents which remove the moisture and your clothes dry quickly when hung outside in sunlight. There are no major issues with the machine and it is one of the best options in semi-automatic washing machines available in the market right now. LG is a well know brand for electronic appliances because of the quality and service it offers. The cost of products from these brands is higher for the same reason. This LG P8071N3FA is a semi-automatic washing machine with a capacity of 7 Kg and is suitable for 3-4 people. It has a very solid build quality and is durable and the body is rust proof. It has a high cleaning efficiency and has a motor rated at 360 W which is good for a 7 Kg capacity machine. It comes with a Collar Scrubber which is used to scrub collars and cuffs by hand so that the machine can easily clean the clothes overall, saving you time and electricity. It has a user-friendly design and the spin tub has an rpm of 1000 so it can quickly dry the clothes. This washing machine is also equipped with Wind Jet Dry Technology that reduces the moisture from inside the spin tub resulting it quick and powerful drier functionality. Considering the LG brand value, it is a good machine to consider for a budget of 12000. So this was our list of best washing machines in India. We hope it was helpful and you were able to find a suitable washing machine according to your usage and budget. 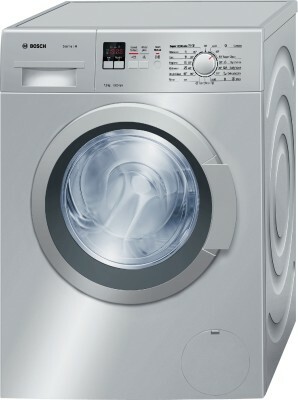 Take a look at some of our articles where we have covered best washing machines under 10000, 15000, 20000, 25000 and 30000.